Be the first to share your favorite memory, photo or story of Esperanza. This memorial page is dedicated for family, friends and future generations to celebrate the life of their loved one. 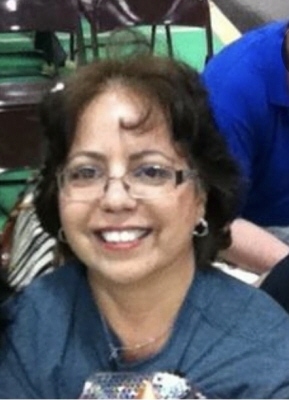 Esperanza Espy Gonzales passed away on April 7, 2019, at the age of 52 years. She was born to her parents Luz (Soto) Rimple and Antonio Molina. Espy was a proud graduate of El Paso High School where she was a member of the marching band. She went on to attend Oral Roberts University. She was a member of Victory Church. Espy worked as a store manager in the retail industry and then into the banking aspect of the financial industry at Bank of Oklahoma. She built good relationships with her co-workers during her tenure at BOK. Espy was an angel on earth, and she helped people whenever she could. She had a wonderful sense of humor and a joyful laugh. She was close to her children, siblings, cousins, grandchildren, nieces, nephews, and aunts. She made many wonderful memories with her cousins and family throughout the years, and this world is emptier without her. Espy is preceded in death by her loving mother, Luz Rimple. She is survived by her children Heather Dillon (BJ), CJ Rimple (Pennelope), her grandchildren Surena Dillon, Dallas Dillon, Aliyah Rimple, Levi Rimple, her brothers Tony Molina and Cheyenne Rimple, niece Janelle Dorantes (Matthew), nephews Eli and Abel Dorantes, many wonderful cousins, aunts, uncles, and a host of friends. Memorial Services celebrating Esperanza’s life will be held 10:30AM Saturday, April 13, 2019, at Schaudt Tulsa Funeral Service Chapel with Pastor Bruce Edwards officiating. A reception will follow in the Schaudt Event Center. Memorial contributions may be made in Espy's name to the hospice house she was in at Clarehouse 7617 S. Mingo Rd. Tulsa, OK 74133. To send flowers or a remembrance gift to the family of Esperanza Gonzales, please visit our Tribute Store. "Email Address" would like to share the life celebration of Esperanza Gonzales. Click on the "link" to go to share a favorite memory or leave a condolence message for the family.